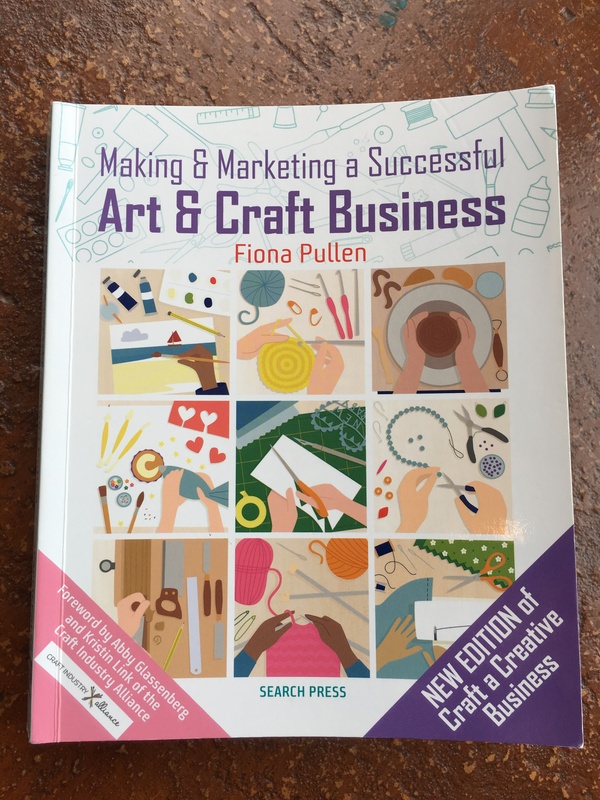 I was delighted to receive a copy of Fiona Pullens’s revised edition of Making & Marketing a Successful Art & Craft Business to review. 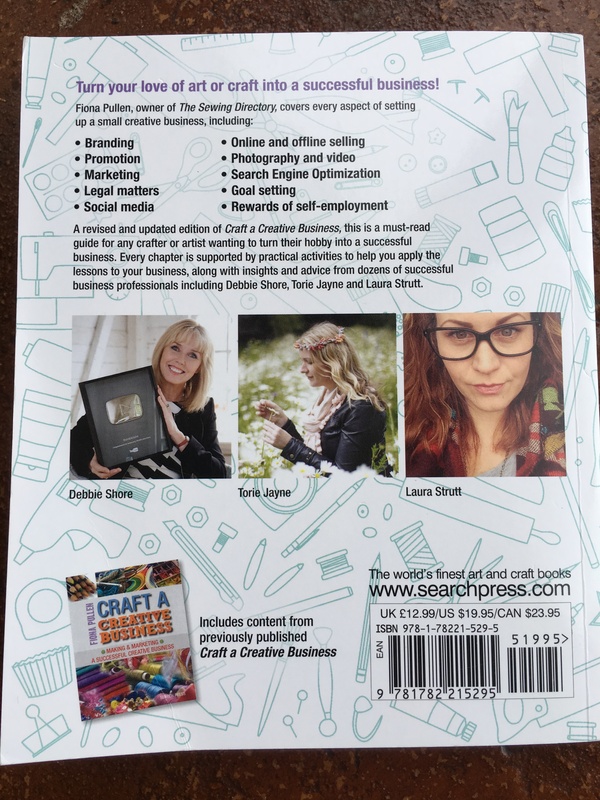 This is an updated version of Fiona’s first book Craft a Creative Business, that was published by Search Press in 2015, and brings it up to date on such issues as: social media, and the increase in video content; legislative and tax changes; and updated links to valuable resources. As a longarm quilter in the creative industry, I was really interested to read this book and see what information was relevant to me. 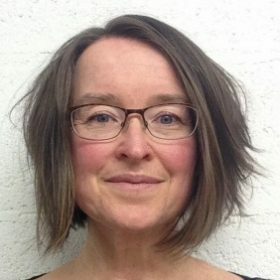 Over the past 4 weeks Fiona has been writing for the website, click here to see the articles, and giving an overview of certain topics which are covered in much more depth in the book. The main areas it covers are Where do I start?, Legal matters, Presentation, Social media, Selling online and Selling offline. Each topic is broken down further into sections and the comprehensive index at the back means you can find what you want really easily. The book is one that can be read from cover to cover but is also a great book to dip in and out off on the subjects that you are addressing at the time. I know how much video content is at the forefront of social media these days but know nothing about how to go about it. If I am going to take that step I want it to be worthwhile and not another drain on my time. So I jumped to the social media topic straight away. There was great advice on all the different aspects of social media and what I really liked was the real world examples that were provided and insight from other creatives in business. Also all the links I visited worked – hooray! I think a lot of us who are in the creative industry come into it in a different way than other businesses. 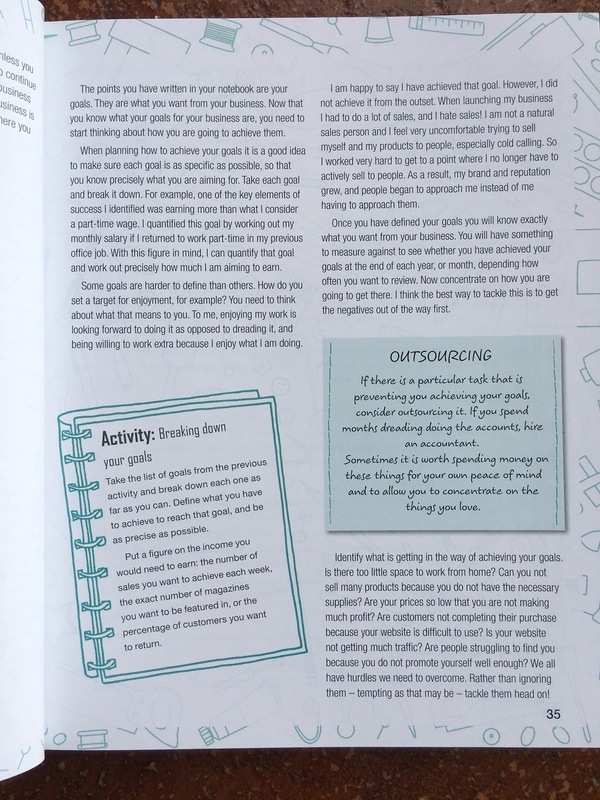 Quite often what started as a hobby can lead into a money making venture and sometimes we don’t stop and think whether it should or do a lot of business planning beforehand. The section on Is self-employment for you? is a great jumping off point for figuring out whether you really do want to take on everything that is involved with self-employment and the activities included in there could prove invaluable in making this decision. On a totally practical note I love the size of it – it was perfect to slip into my handbag and read whilst waiting for children at various activities! 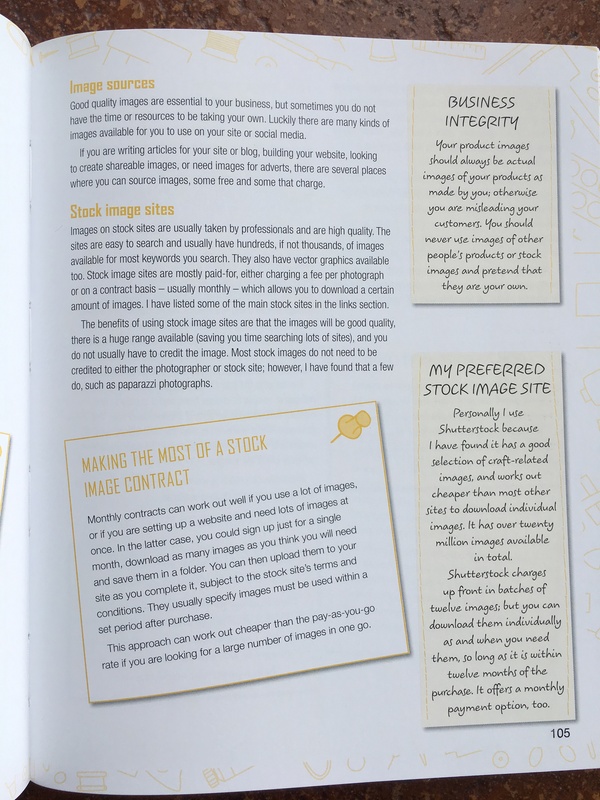 There is a competition running where you can win a copy of the book, so why don’t you head over to Competition Corner to enter and see if your luck’s in! cut&alter Christmas 18 Quilt Along We have a WINNER!! cut&alter Christmas 18 QAL cut&alter :: Festival of Quilts – who will be there? cut&alter Christmas 18 QAL :: Week 1 and we’re off!